$9.99 for the 750 mL from Growlers, HHI, SC, USA. Bottled 3/29/13. Well this beer has been a long time coming. A few years ago, a few months before Westbrook had even opened, I had the pleasure of meeting Ed Westbrook at a party held in Charleston (thanks Brian Z.). Ed brought two beers with him that he was piloting for the new brewery. 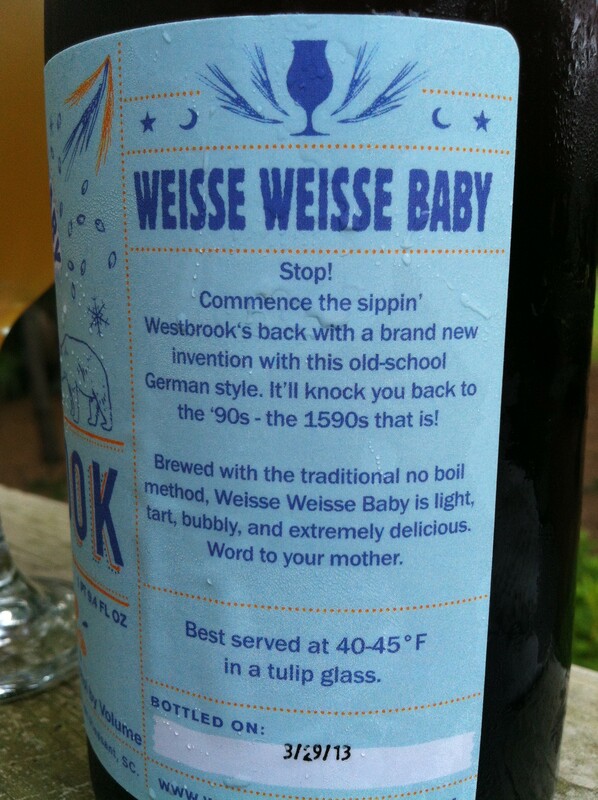 One I forget (perhaps a Strong Belgian Dark), but the the Berliner Weisse I did not. It was astonishingly good. 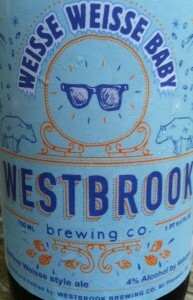 I was thinking that WWB might be an re-incarnation of that beer, or perhaps, actually that beer. 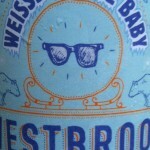 A quick Twitter exchange with Ed confirmed that indeed WWB IS ‘that beer’. I must admit, WWB seemed dramatically different than I remembered, and I was surprised that Ed confirmed that the two beers were one and the same. 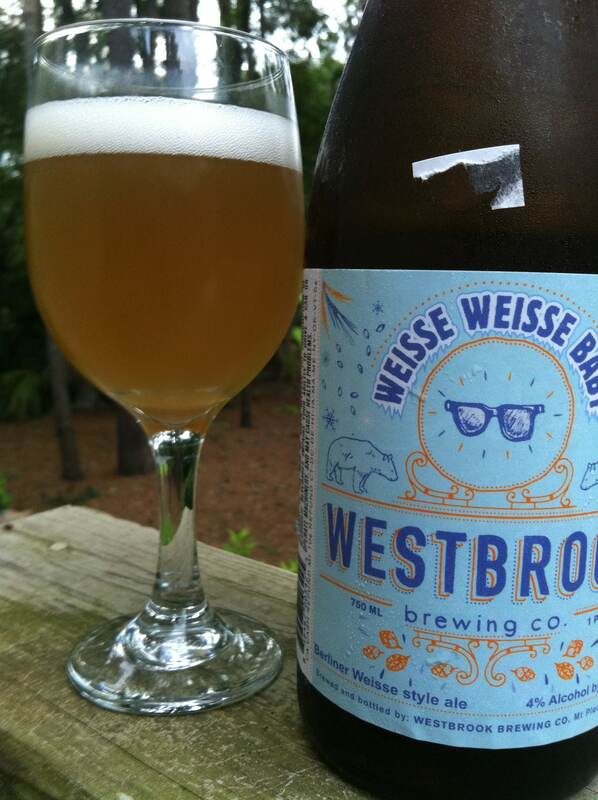 To say it’s a strange color for a Berliner Weisse is an understatement. A murky, yeasty color rather than the typical washed out, almost colorless/light yellow hue. This almost looks like a bottle-conditioned beer that was violently shaken with orangey, milk chocolate colored yeast? It is my understanding (indeed it says it on the label) that WWB is brewed with the ‘no boil method’, and at first I was thinking that this could have something to do with the somewhat non-traditional appearance, but either way, for anyone with the experience of the ‘normal’ Berliner Weise visual, this is off-putting to say the least! I have to come out and say it – I don’t like it at all. Apart form the color, all of the other attributes are in place, with a lack of head, no lace and a puckering sourness. The body is suffiencet for the syle and holds things together nicely. In the back end there is a little orangey, lemony citric acid taste, a bit like a sour patch kid. Not something I would necessarily point out or indeed want, but it rounds out the beer in a strangely satisfying manner. Some sweetness follows in the aftertaste and the palate is not jaded. Not the beer I remembered from a few years ago, but I suppose that might be because my memory and palate have faded and changed respectively! The one I recall was much more consistent with a traditonal BW, especially in terms of its appearance, and at the time it blew me away. Unfortunately whilst entirely competent, this doesn’t. 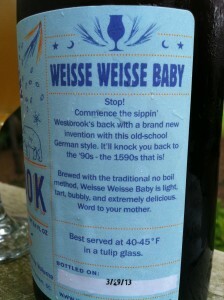 Other: 4.0% ABV, Berlinner Weissbier.